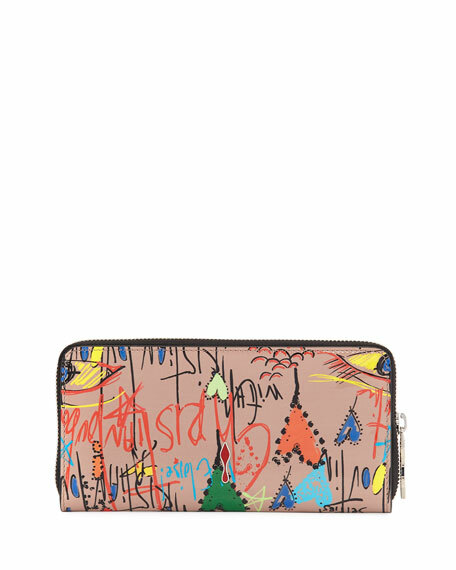 Christian Louboutin "Panettone" graffiti-print leather wallet. Zip-around top with red sole pull. Logo stud at top center. 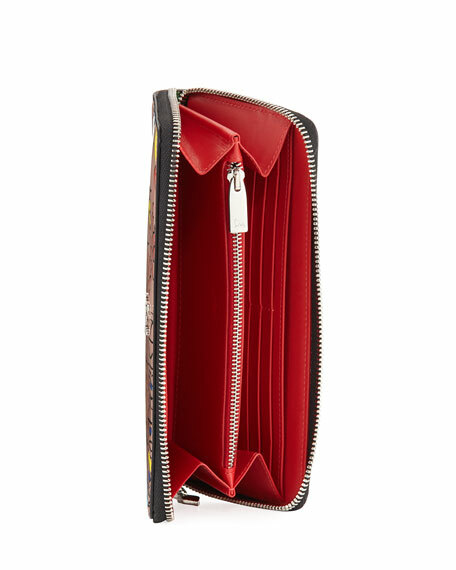 Inside, zip, slip, and card compartments. 3.8"H x 7.3"W; weighs 8 oz. For in-store inquiries, use sku #2310216.